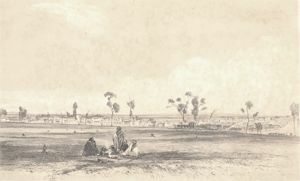 The first land sales are held in Melbourne, conducted by the Assistant Surveyor-General Robert Hoddle; the highest price is paid for the north-east corner of William and Collins Streets. 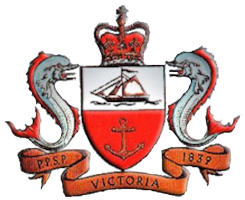 The Port Phillip Sea Pilots are granted a licence to operate. The original pilots camp on the beach at Shortland’s Bluff (Queenscliff), is the site of the present pilot station. 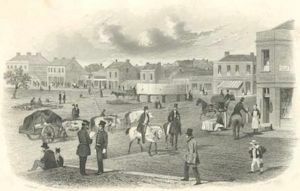 A post office opens at Geelong, the second to open in the Port Phillip District. 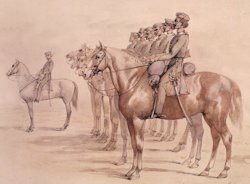 The Native Police Corps under Captain Henry Dana relocates from Narre Warren to Merri Creek. Sectarian riots break out in Melbourne between Protestant Orange and Catholic factions. 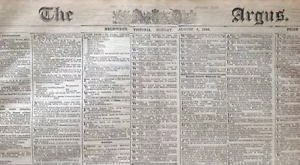 The Argus newspaper is published for the first time. 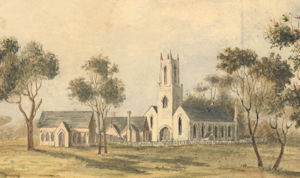 Charles Joseph La Trobe lays the foundation stone of St Peter’s Eastern Hill, Melbourne. Melbourne is proclaimed a city, at a time when its population is over 11,000 (out of over 33,000 for the whole of the Port Phillip District). 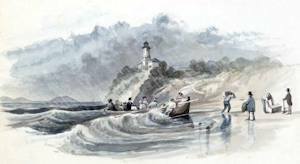 Charles Joseph La Trobe renames Shortland’s Bluff on the Bellarine Peninsula, Queensliff; he had his holiday cottage there in the 1840s. 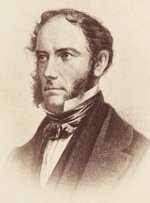 Sir Charles Hotham arrives in Victoria to succeed Charles Joseph La Trobe as Lieutenant-Governor.